Psychological Sciences graduate students brought psychology to seventh and eighth grade students as part of the Missouri Youth Experience on October 27. 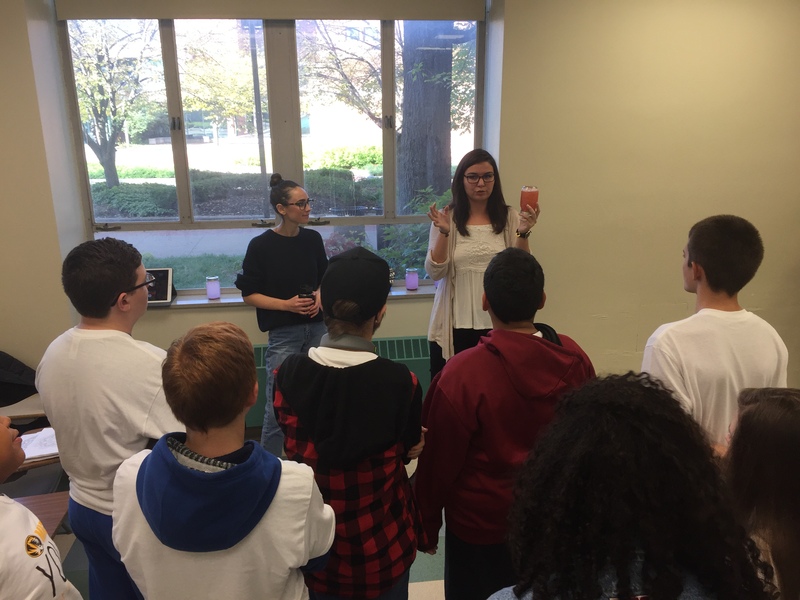 Tayler Vebares, Genevieve Dash, and Nathaniel Greene led demonstrations on mindfulness, memory and the brain as part of the campus-wide effort to reach out to middle school students across the state. The graduate students are members of Graduate Association for Psychology Students (GASP). GASP is a student-run organization for the graduate students within the department. It organizes social events, provides community service, provides the department with student input, and maintains the Graduate Student Survival Guide.